February 21, 2018, a day in vaccine history. The TyVAC Malawi team vaccinated the first African child with the newly pre-qualified typhoid conjugate vaccine, Typbar-TCV. 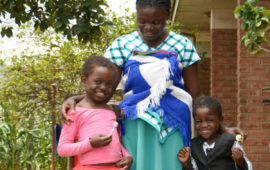 Four-year-old Golden Kondowe is now vaccinated in a trial against typhoid, the first of thousands more in Malawi. 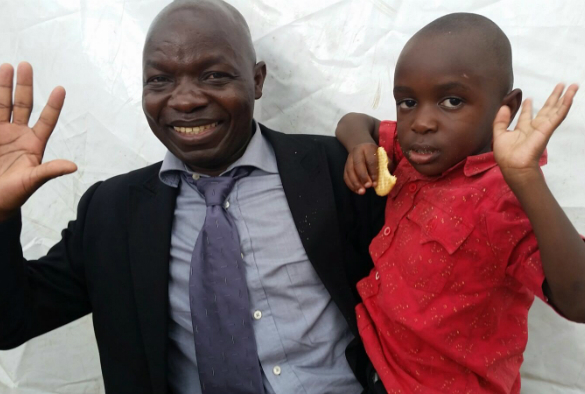 Four-year-old Golden Kondowe with his dad, Christopher, after receiving his vaccine. We are excited and honored to be part of this historical moment – a first for Africa and a critical step in the fight to Take on Typhoid. Vaccines, in coordination with water, sanitation, and hygiene interventions are essential to reduce the burden and impact of typhoid fever. TyVAC is working with local and international partners to conduct vaccine impact studies in Nepal, Malawi, and Bangladesh. 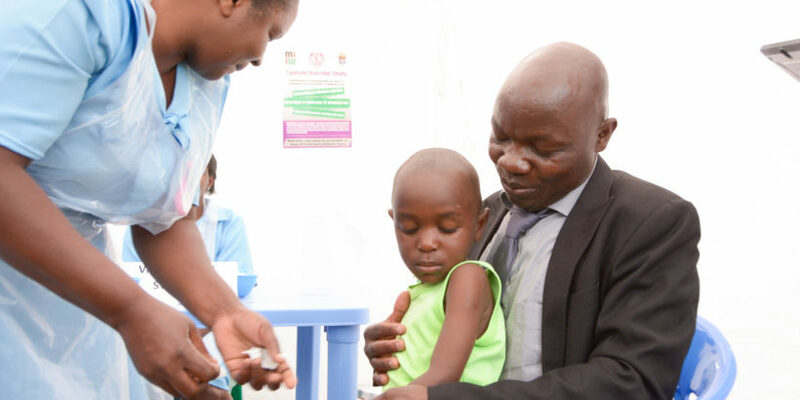 The Malawi-Liverpool-Wellcome (MLW) Trust and Blantyre Malaria Project (BMP) have worked tirelessly over the last year to prepare to enroll 24,000 children in Ndirande and Zingwangwa townships. 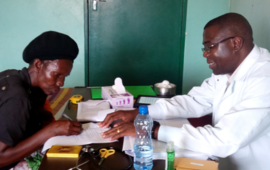 According to the Malawi Ministry of Health, the trial is the culmination of 15 years of research focused on disease patterns in Blantyre, where typhoid affects over 100 of every 100,000 people each year. The Nepal study began in November 2017 and the Bangladesh trial is planned for mid-2018. Before the trial began, MLW, BMP, and TyVAC staff and partners conducted extensive training on topics including public engagement, community collaboration, human subjects protection, informed consent, enrollment, cold chain management, vaccine administration, surveillance for adverse events and typhoid fever, and data management. Typbar-TCV is the world’s first typhoid vaccine approved for children under two years of age, a group highly vulnerable to the disease, particularly in sub-Saharan Africa and Asia. This longer lasting and more effective vaccine has significant potential public health impact in typhoid-endemic countries. Typbar-TCV can be incorporated into routine vaccination schedules, giving us the best chance to reach young children at the highest risk for typhoid fever. Recent outbreaks and increased multidrug resistance highlight the importance of prevention. Typhoid fever has been reported in the southern Malawi districts of Zomba, Blantyre, Mangochi, Thyolo, and Mulanje. 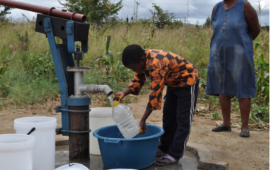 Research conducted by MLW shows multidrug-resistant typhoid increased from 7 percent of typhoid cases in 2010 to 97 percent in 2014 in Malawi, and reminds us of the urgency of the situation and need for action.